I will try and keep them in some order but so much to re cap on & in future I will attempt to keep up with the blogging! Its all a bit of new thing for me! Pachesham was our first Iberian outing of the year, as I had been laid up with Shingles, which was pretty annoying, as I was desperate to enjoy the Spring, but I was just well enough for Pachesham Iberian Festival, hurrah. We took Maryss Tiara, who is a british bred spanish mare, owned by Alex & she lives with my spanish gelding Bellaco. 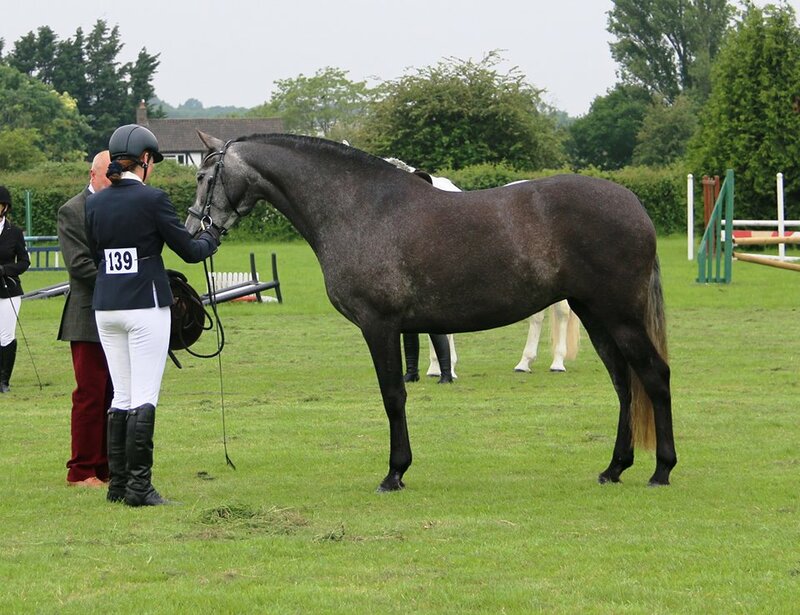 I hope one day to borrow her for a foal or 2 from the boys, she was also the highest scoring mare in 2014 UK gradings. 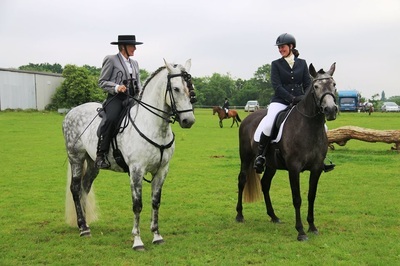 It was Ts first outing of the season, she was a complete super star in the In hand, in a very strong class, she came a very credible second to a national champion. Even more impressive as we had to drag her off the lorry and into the class, as we had got stuck in traffic, so not much primping time! It was well deserved as Tiara did the most incredible trot up & showed off her huge, straight trot, we even showed in the traditional circling to trot, which I am only just getting to grips with, as needs so much practice. 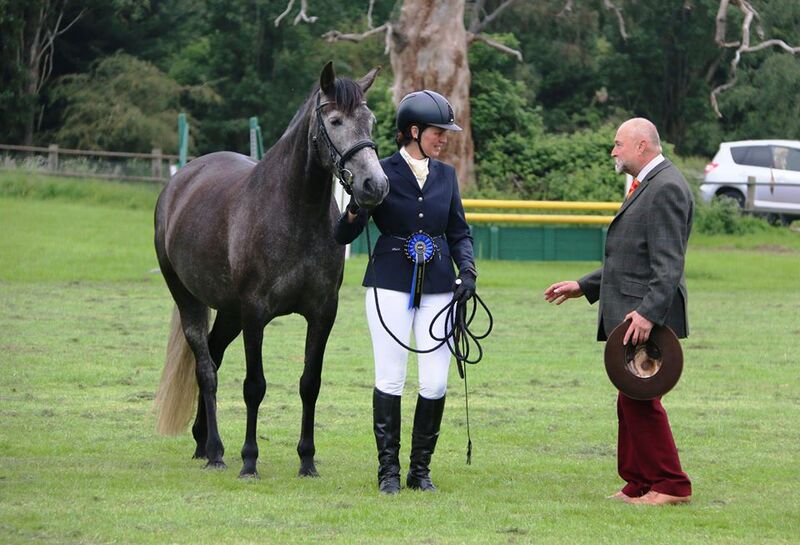 We also met up with Tiaras 3/4 brother Maryss Paladin (pictured) who was our partner for The Iberian Parade Display Team last year & they did amazingly winning our class & reserve ridden champion, so well done Kenny & Denise, well deserved for a very polished performance. Tiara is still very low on miles & so we entered the ridden for experience only, she was somewhat keen when I hopped on (I suspect she thought In-hand was her new career & far more fun to get me running very fast!). Once she had made her way to the large grassy collecting ring, we had a trot round till she settled & remembered she wasn't a race horse! There were some rather handsome boys, so she could have been trying to make an impression. She settled quite quickly & off into another large class we went, she worked nicely in the group work although a tiny bit tense but it was the first ridden class she has done on grass, she kept her balance & no slipping. 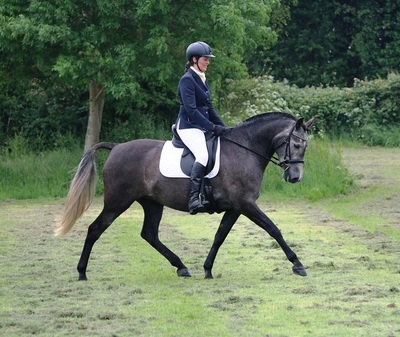 Then the moment of truth, our individual show, she did her best but a little green mistake (wrong legging it in the canter transition but she did pick it straight up the next time). Positives were she went in a nice outline, listened & stood in line, for a long time, quietly & coming back out again, so it was a super useful outing & she even received a placing rosette, so everything we wanted was achieved.